Minimalistic and sculptural, these objects can be used as occasional or end tables, in pairs or alone. Their distinctive silhouette is effortlessly stylish making a soulful statement. The warmthness of the base is complimented with the hard metal finish rim detail of the top tray. They are designed to be matched with finishes in unity with lighting and accessories from the Alentes collection. Made from our own aggregate of stone, marble and cement. Mixed and poured by hand, the tables cure and are then assembled and sealed with a protective coating. High in durability, these objects are near care-free. Slight variations in size and color are due to the use of natural materials and to the handmade nature of our products – each is unique. 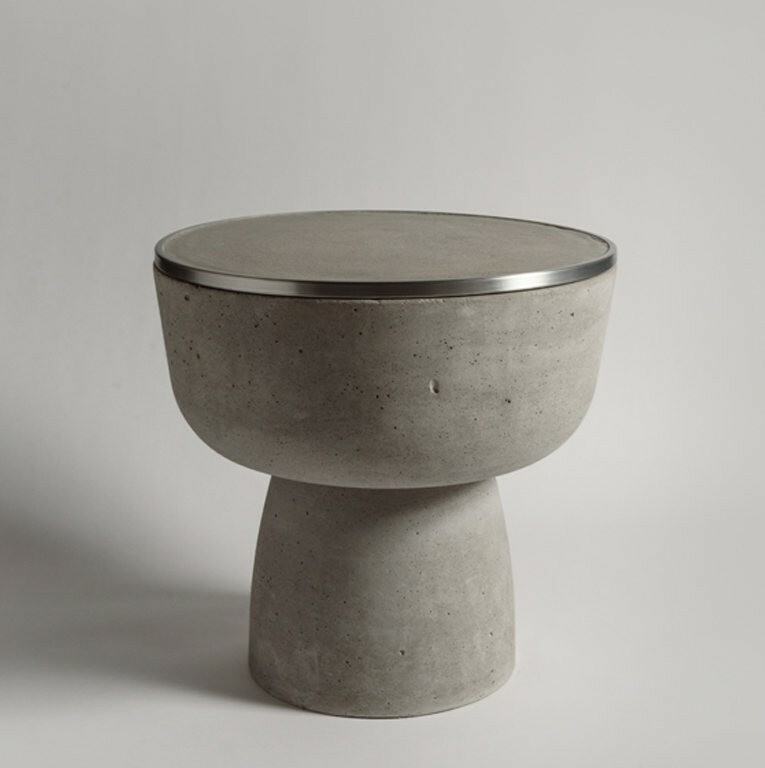 All our cement casting furniture are treated with a specialized matte varnish which makes surfaces non-absorbant thus making them suitable of outdoor use. The MUSHROOM TRAY tables come in two sizes. 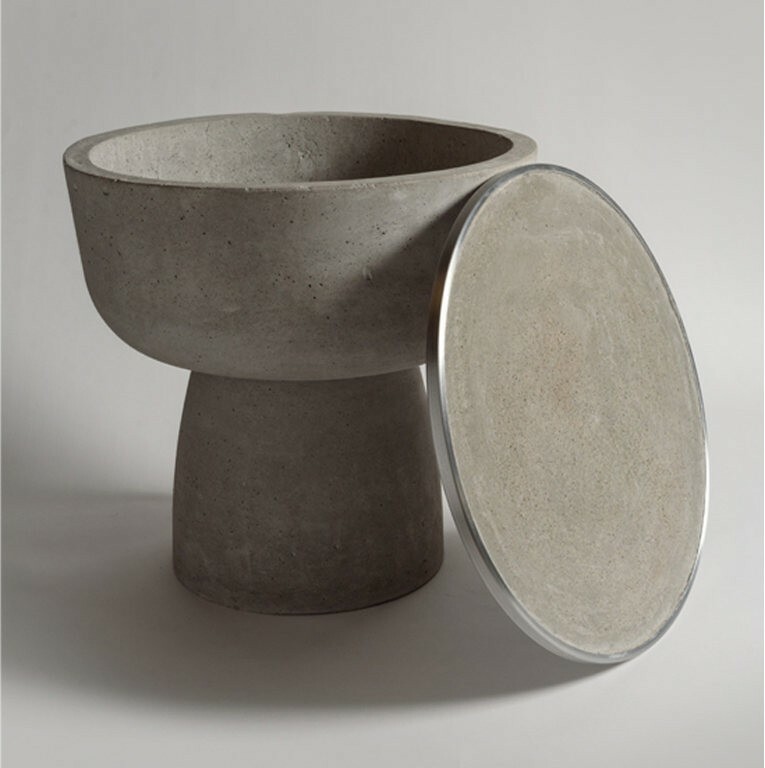 The detachable top trays are made from hand spun metal with cast concrete infill. They come assembled ready to be placed.